On Tuesday, a five-member inter-district gang of motorcycle snatchers have been busted by the Police. The gang had been actively involved in the motorcycles snatching in the area. As per the details, the police in a planned action arrested the culprits and also recovered the stolen motorcycles from them. 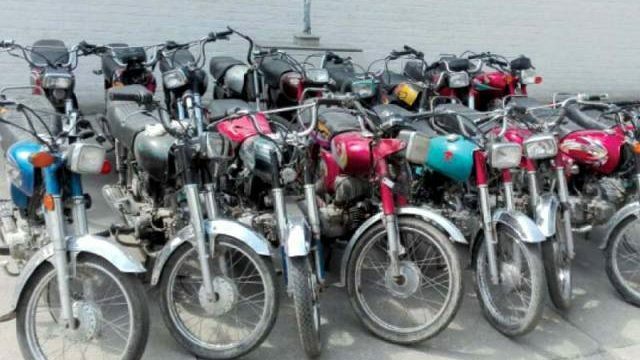 District Police Officer Mansoor Aman, speaking at a press conference mentioned that on the basis of the information provided by the accused the police have recovered five motorcycles which will be returned to the original owners. The DPO further stated that there had been increasing complaints regarding the theft and therefore, upon receiving the complaints from the locals, they had to act in order to counter this increasing number of motorcycle theft in the city. He lauded the performance of all the police officials who took part in the raid. All the arrested accused belonged to the Nowshera District and they were identified as Owais, Junaid, Waqas, Faisal and Wajid.